Last year the Civic received a significant and well-received refresh in which it gained sportier styling, many new standard features and higher-quality cabin materials. Still, Honda has never rested on its success, and this year offers further improvements on the 2-door model, which returns with a sharp redesign and performance enhancements. 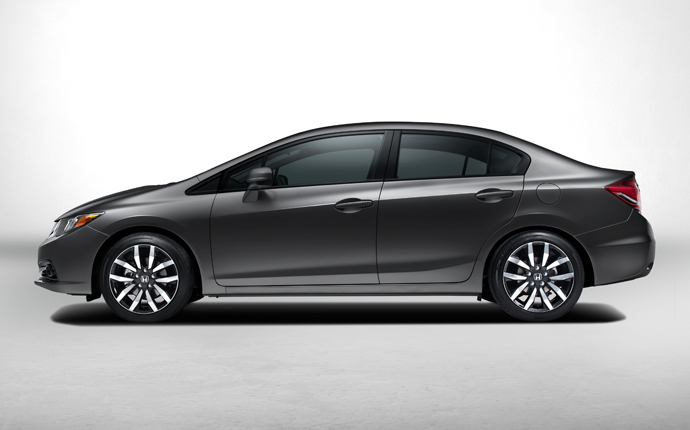 Learn more in the continuation of Bell Honda's 2014 Civic review. When you choose a Honda, you can expect value, and with the Civic this comes in the form of a well-rounded lineup that highlights technology, safety, style and fuel efficiency. Valley shoppers can find the 2014 Honda Civic for sale in Phoenix, AZ with four feature-packed trim levels to choose from. Sedan and coupe body styles are available in LX, EX and EX-L trim levels; the sedan is also offered in an HF trim that emphasizes fuel economy. Every model comes standard with a rearview camera, Bluetooth HandsFreeLink, Bluetooth Audio, SMS text messaging, an iPod/USB interface, Pandora radio and other premium features that one wouldn't expect considering the lineup's low entry price. This year, the Civic Coupe arrives with a restyled front fascia and recontoured rear bumper. Its new look is youthful and athletic, and with new features like an exclusive grille design, it flaunts a unique appearance that is set apart from the sedan. Additionally, Si models will gain new wheels, a larger rear spoiler and, most notably, powertrain revisions that boost horsepower and torque. The Si's 2.4-liter i-VTEC engine will produces 205 hp and 174 lb.-ft. of torque. Unmatched reliability, performance that doesn't forfeit efficiency, advanced safety and high-tech features can be yours for an affordable price with the Civic. Honda has had the honor of being named the Best Overall Brand, Most Trusted Brand and Best Value Brand by Kelley Blue Book's KBB.com, and with vehicle lineup's like this, the reason why is clear. 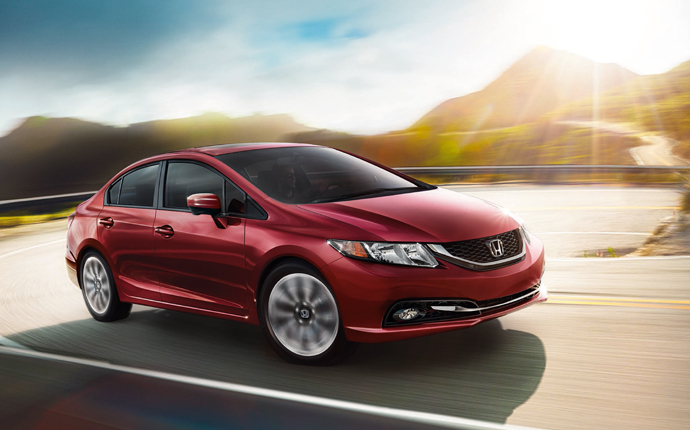 Visit Bell Honda to test drive the 2014 Honda Civic in Phoenix, Arizona today. For more information regarding vehicle specs, please see the rest of our Honda Civic review below. *2014 Civic hybrid and Civic SI coming soon. 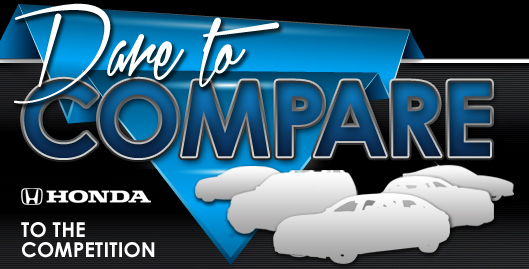 When you compare Honda's new 2014 Civic side-by-side with the 2014 Ford Focus, Kia Forte, Hyundai Elantra and the Chevrolet Cruze, we're sure you'll find out that the Civic is the perfect fit for you. The Civic's got several outstanding qualities, including its handy cabin features and sharp looks. When compared to the opposition, in terms of price it's clearly a spectacular value, making it a first choice among Honda customers in Phoenix. Find even more information; see our quick-facts list for the Civic - bullets underneath this text. Buying a car takes patience, research and a little help along the way! That's why Bell Honda has provided the Civic review above and reviews of other 2014 Honda models. We stand out from other auto retailers by offering reviews offered to assist you in your vehicle search. This Honda review contains accurate information about the Civic and it's specifications, cabin features and more. 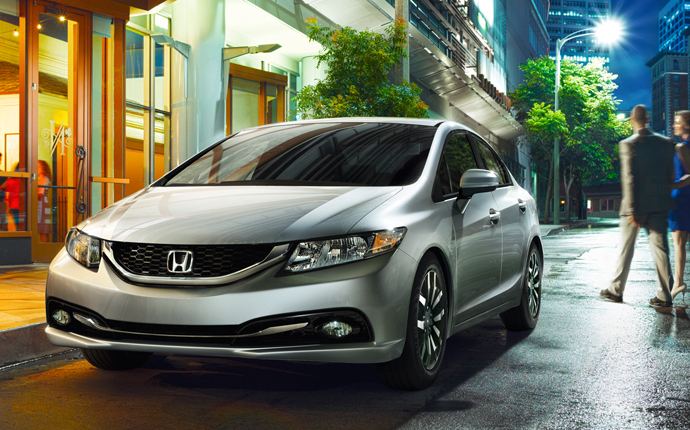 Thank you for reading through Bell Honda's 2014 Civic review. Now that you know more about the Civic, use the form on the right to contact us to learn about great lease offers and national OEM specials that can help you save a substantial amount on your purchase.